While James William Randolph believed that African Methodism was superior to denominations like the Baptist, he did not object to his sons visiting other churches in Jacksonville. In fact he welcomed it when it meant his sons could listen to someone he thought could serve as positive role models to them. Bethel Baptist Institutional Church was one of the congregations they would occasionally visit. Here, they got to listen to sermons from John Elijah Ford. A black minister and businessman from Chicago, Ford had traveled to Europe, visiting great capital cities, libraries and museums before moving to Jacksonville to take the post of pastorate at Bethel International Baptist Church in late 1907. The morning after his “The Man of the Hour” speech at Odd Fellows Hall, a young Randolph was hired by the Union Life Insurance Company to walk black neighborhoods collecting insurance premiums. According to James Weldon Johnson’s Along This Way, the Odd Fellows lodges were made up of white collar workers while the local Masonic lodges recruited largely from stevedores, hod carriers, lumber mill and brickyard hands. 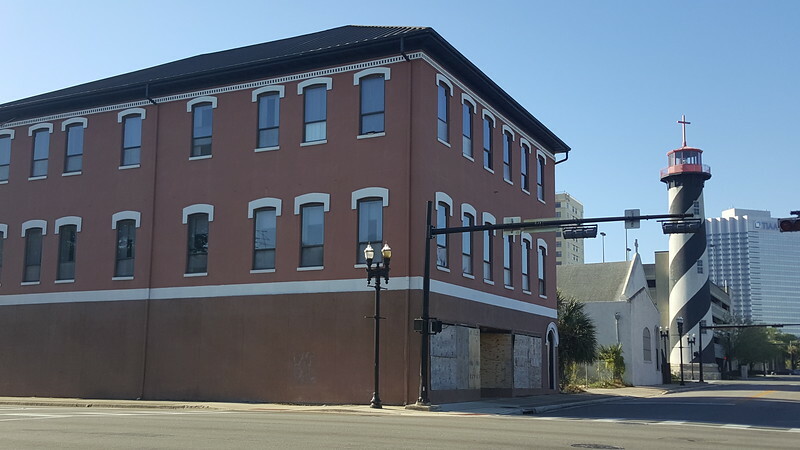 Located at the southeast corner of State and Cedar (now Pearl) streets, Odd Fellows Hall was a large three story building with several retail spaces on the ground floor. 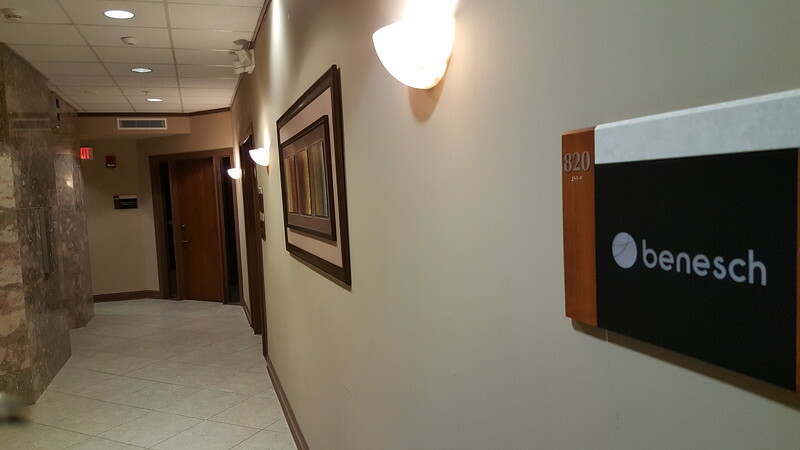 In recent years, this building was occupied by River Regions Human Services, Inc. However, don’t let recent history fool you. 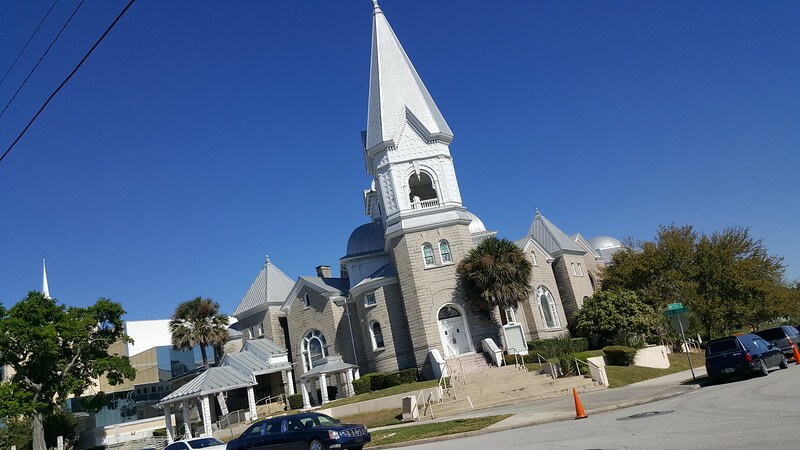 This is a significant site associated with several important individuals from Jacksonville’s past including Asa Philip Randolph and Zora Neale Hurston. After graduation, Asa Philip Randolph worked a variety of jobs he felt were below him. They included working as a grocery store clerk, delivery truck driver, lumberyard log stacker, wheelbarrow pusher at a fertilizer factory and a water boy for a firm laying railroad track. The best job he had while living in Jacksonville was being hired by the Union Life Insurance Company to walk black neighborhoods collecting insurance premiums. City public directories indicate that he was employed by the insurance company in 1909 and 1910. 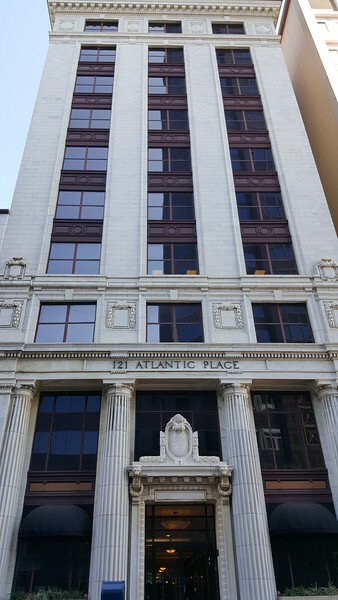 121 Atlantic Place was completed in 1909 as Jacksonville’s first skyscraper to serve as the headquarters of the Atlantic National Bank. The Union Life Insurance Company was one of the building’s early tenants, occupying space on the fifth and eighth floors during the time of Asa Philip Randolph’s employment. During his time living as a young adult in Jacksonville, Randolph was a part of a barbershop quartet that performed in downtown theaters in plays like “East Lynne” and “Way Down East”. He also became addicted to the writings of William Edward Burghardt (W.E.B.) Du Bois, which led to him changing his life plans and looking to Harlem as a way out of limited economic opportunities in Jacksonville for black men. At the same time, he also followed the success that James Weldon and John Rosamond Johnson were having in New York. In April 1911, he sailed to New York on the Clyde Line steamboat Arapahoe, with childhood friend and neighbor Beaman Hearn, telling their parents they’d return to Jacksonville when the summer was over. While Hearn did return as promised, Asa Philip Randolph had no intentions of returning to Jacksonville and was set on staying in Harlem.